We live in a world of unpredictability, one in a constant state of flux, and which has conditioned its inhabitants to expect change even in brands that they have always loved. Most likely, their beloved collection would consist of the everlasting classics but they want to be romanced into the kaleidoscope of innovative product ideals. Jaslin Goh, Managing Director of the strategic brand consultancy famous for growth, Added Value Hong Kong, shares five paradoxes that luxury brands should not forget. Unpredictability is heresy in the world of brand management, where messages tend to be rigidly controlled within a framework of approval, signatures and corporate nomenclature. While key icons should always be recognizable, luxury houses have much to gain by surprising, or even shocking, their followers. Our research in China showed that the Boy Chanel series, for example, was ‘shockingly desirable’. Though consumers felt that it defied the brand’s classic feminine image, this androgynous look became a badge of honour among fashionable Chinese youth. And one need look no further than Han Huo Huo (a Chinese blogger and known for his androgynous style) and Zhou Xun (Chanel’s China brand ambassador is known for her boy-ish personality) for examples. Cultivating distance might sound like commercial suicide for brands that are forever looking to foster closer ties with their customers. Yet in the world of luxury, it’s all about playing hard to get. Brands deliberately keep their customers at arm’s length in order to create an aura of mystery and rarity which bolsters the desirability of their products. That said, there is an ever-present danger of projecting an arrogant image, and losing touch with key audiences. Our 2014 luxury research showed that fashion advisors are a critical touch points for brands, as they offer a sense of intimacy and bonding without compromising that all-important distance. These advisors’ approachability, proactivity and connection with customers can build a rapport that makes the difference between buying one item and buying five, doubling or tripling their in-store spend. Fashion advisors in China proactively keep customers updated with latest trends (unofficially via Wechat); a common behavior across all brands according to our research. It’s interesting to see that luxury brand communications in China will often feature a date that is absent from European merchandise. Consumers here attach serious value to a label’s history, which underwrites the premium and prestige surrounding the brand. Approximately 40 percent of wealthy Chinese consumers surveyed by Hurun and Industrial Bank rated a ‘long history’ as an important characteristic for high-end brands. But luxury houses must be careful to avoid stagnation and a stuffy, outdated image; in order to remain relevant, they must constantly refresh and even reinvent themselves. Another example here would be Shang Xia (literally Up-Down in Chinese), which is owned by Hermes and puts a modern twist on Chinese heritage and craftsmanship. It is important that brands create accessible entry-points that are within the reach of generation Z. Connecting with the next generation has moved from being an afterthought to a number one strategic priority. Prada leads the field with its playful and lighthearted Miu Miu line, which gives younger women a taste for the altogether more grown-up parent brand. At the other end of the spectrum, brands are upping their game with super-premium products: Audi’s R8 coupé and Fendi’s exotic, one-of-a-kind furs are highly sought after by Chinese luxury consumers. The lines between cutting-edge technology and high-end luxury are becoming increasingly blurred. Luxury is the order of the day in the automobile, skincare and electronics categories, and tech companies such as iPhone, Samsung and Audi are looking to luxury to add a human touch to their products. Being user-friendly and intuitive is now a key part of brand equity building, as time-starved consumers need rapid solutions at their fingertips. Luxury fashion labels are also going high tech: Burberry’s ‘Customer 360’ programme represents a bold step towards going truly digital, with RFID chips and even screens incorporated into garments. A brand is brought to life by its character. It guides HOW the brand speaks, looks and behaves, and should be consistent across all communications. Brand consultancy and strategy company Added Value put together some tips for winning with brand character to ensure consumer appeal and competitor distinctiveness. As Humanitarian Aid represents a $25 billion business, Added Value Executive Vice President Purpose Branding and Sustainable Innovation, Leslie Pascaud, examines how the type and amplitude of innovation can have implications well beyond philanthropy. Starbucks’ brand purpose is ‘serving one cup, to one neighbour at a time’. They made it their mission to redefine what ‘neighbourhood’ meant to people, understanding that for most city dwellers this is no longer geographical, but is made up of a small number of disparate places that feel genuinely welcoming. What makes a brand iconic? Is there a magic formula that is true across countries and across categories – and if so, how can the magic be bottled? Brand and marketing consultancy, Added Value, looks at the defining characteristics of iconic brands and highlights some stand-out examples of iconic activity. What makes a brand iconic? Is there a magic formula that is true across countries and across categories – and if so, how can the magic be bottled? Added Value’s Mélanie Bonnet and Caroline Sarkis look at the defining characteristics of iconic brands and highlight five tips to help your brand reach iconicity. Many brands aspire to becoming iconic. However, simply creating and designing amazing products is not enough by itself to achieve this. This is the view of brand and marketing consultancy Added Value’s Mélanie Bonnet, and Caroline Sarkis. Simply put: premium is powerful. Not only do consumers aspire and strive to buy premium brands, their inherent profitability means businesses long to create and manage. With legislation driving growth in gaming, technology opening up opportunities in cosmetics, and beacons and QSR driving retailing, mobile innovation is happening in every market in China. So much so that mobile e-commerce expenditure for 2015 will be four times higher in China than in the United States. Given this, we’d be silly if we didn’t watch the market carefully and learn what we can to take advantage of mobile in Africa. Strategic marketing consultancy, Added Value, highlights a handful you might find worthwhile. At Added Value, we use Yung’s archetypes as a base for character development. Through a combination of archetypes we are able to bring personality to products and services helping to support a brands positioning and ultimately connecting with consumers on a deeper, more emotional level. As market researchers, we are constantly trying to keep up with consumer behaviour. We want to understand what consumers use our clients’ products for, and most importantly, how they use them. The revival of feminism: Are South African brands sleeping? What used to be a mostly first-world concept, feminism has become a popular movement in developing countries like India, Kenya and South Africa. This points to a significant cultural shift, a change in the way that women see themselves and their role in society, regardless of social status and income. It is time the market research industry came to terms with the fact that the Living Standard Measure (LSM) questionnaire on its own does not cut it when it comes to defining target markets and compiling research groups. The industry, and the marketers it serves, must identify ways to define target market segments in a more holistic manner that encompasses both intrinsic and extrinsic variables. According to Nielsen/Net Ratings, the worldwide consumer spending power of women is $20 trillion, and in the United States, their annual spend is over half of the US GDP ($7 trillion). Want to know more about what they’re spending on, what trends are influencing them and why Pinterest matters. Strategic marketing consultancy, Added Value, has put together this read for you. It seems hard to believe, but many companies continue to under-deliver to the 50% of the world’s population that is female. According to Tom Peters, “women are unmistakably in my opinion economic opportunity number 1” and with global earning power of $18 trillion and growing, it’s easy to see why. But if you do sit in a business that struggles to understand the role and influence of women, what are some of the latest things to take note of? Added Value Director (France), Cécile Gorgeon, suggests five. Today’s women have little in common with the figure of the typical housewife who dominated the 1980s. Yet, marketers seem to be struggling to adapt their discourse to these changes and translate this evolution into relevant and engaging communication that really speaks to women. The importance of family for marketers and brand managers is undisputed. They are our bread and butter; from the life policy that leaves a lasting legacy for loved ones to the frozen vegetables we want on their dinner tables. In South Africa, our Generation Z falls into another category, that which we call ‘born frees’ to highlight the fact that they were born after the country attained democracy in 1994. This generation, the eldest of whom will celebrate their 21st birthdays this year, should be on every marketer’s mind as they consider how to drive their brands’ future growth. As cultural insight mavens, Added Value’s strategists see something more fundamental taking place which some people are calling the 4th Wave of feminism. Fed up with everyday sexism, forged by other forms of activism and empowered through technology, women are speaking up across all sectors, countries and societies. Be bold. Be authentic to your brand. Be useful to consumers’ lives. Be open to relevant collaborations to drive engagement. Be data driven to better understand consumers. Strategic marketing consultancy, Added Value, lifts the lid on five innovations that have branding for good at their heart. 2015 is shaping up into ‘The Year of Enrichment’ — why? Strategic marketing consultancy, Added Value, is describing 2015 as ‘The Year of Enrichment’. In this article, it details three of the six cultural themes that have led to this description, and highlights how they can impact brands. Consumers navigate expertly from Facebook, to their blog on Tumblr, to their mobile banking app, to their Apple TV, and back again. Their digital expertise now requires brands to behave with equal agility and provide relevant and timely content unique to the platform and consumer need. Mobile and tech — what should be on the marketer’s radar? Here Jonathan Hall, President Consulting: North America, highlights the latest in everything from artificial intelligence to wearables, from big data to storytelling, and what brand owners can learn from the worlds of mobile and tech. ‘Big Data’ and ‘Social Good’ may be the yin and yang of tomorrow’s most successful brands. Both are recognised as important components of contemporary marketing strategy, yet they are not typically thought of as bedmates. That is changing. The growing expectation that brands should make meaningful contributions to the world has put pressure on marketers to find profitable ways to do so. They must carefully select causes that align with the brand’s ethos and can be seamlessly woven into their business models. Luxury & Asia — overtaking the US & Europe? With luxury sales stagnating in both the United States and Europe, Asia is quickly becoming the world’s luxury epicentre, predicts strategic marketing consultancy, Added Value. As China develops, luxury brands will need to ‘go beyond the bling’ and connect with consumers at a more meaningful level. Panos Dimitropoulos, Cultural Insight Director, Added Value China, took a cultural view on new luxury in China, and what it means for local and global brands. Jaslin Goh, managing director of the strategic brand consultancy famous for growth, Added Value Hong Kong, shares five paradoxes that luxury brands should not forget. It’s a fact many marketers in established economies are having to come to terms with: populations are getting older. And it’s not just in the West: China will have the largest population over 65 years old by the year 2030. Gone are the simple days when marketers could target their products and services through mass media at younger audiences in an attempt to engender lifelong loyalty. Today, marketers and brand ambassadors are beginning to grasp the importance and urgency of responding to the huge and ever-expanding opportunity represented by seniors. Our once ‘age-phobic’ society is quickly transforming into a world where seniors are rehabilitated, where ageing is no longer something to be feared, and where science and technology are working hard to push the boundaries of longevity. Ecological and social innovations, exciting brand initiatives and purpose-driven marketing that works is driving the trend towards branding for good, particularly in the growing field of impact investment where there is an encouraging show of disruptive innovation. Here are six examples to inspire local marketers and brand custodians. These five brands are growing at an astonishing rate and featured in The Sunday Times FastTrack 100, a listing of the UK’s top-performing private companies and entrepreneurs. Strategic marketing consultancy, Added Value, takes a quick look at why and what they are doing right from a cultural perspective, proving that being culturally relevant is key to future growth. The attributes needed to succeed in marketing are changing fast; tomorrow’s talent will be polymaths, mastering a radically new skill set, argues Added Value’s Bart Michels. Lifestyle Brands: How to grow in a post-growth era? MINT — Mexico, Indonesia, Nigeria and Turkey — is the theme of ‘Added Value Edits’, a monthly newsletter on strategic marketing thinking that works and disruptive innovation compiled from input provided by Added Value’s offices around the world. Robots are the future. We will increasingly view them as extensions of ourselves. Strategic marketing consultancy, Added Value South Africa, has strengthened its team of directors with the promotion of Camilla Fanning to Associate Director: Brand. As the 30th driest country in the world, with 62% of our available water being used for irrigation, South Africa cannot afford to waste food at the levels it has historically. Like Europeans and Americans, South Africans are beginning to wake up to the consequences of food waste. With fast-rising disposable incomes and a growing middle-class consumer culture, multi-national brands have been salivating at the thought of taking their brands to the over a billion potential new customers in India. Unfortunately, many multi-national brand owners have struggled to get it right in that country. Ill-prepared examples abound of brands and products that sell big in western countries but flop. So how can brands harness the world’s third largest economy and maximize its potential to drive its brand growth? Brand development and marketing insight consultancy, Added Value, shares five strategies South African brands venturing to the continent can employ to entice. Super Bebe, a pioneering brand of micro-nutrient powder (MNP) launched by Population Services International (PSI) in Mozambique, is using an innovative social marketing approach informed by ethnographic research conducted by Added Value to combat malnutrition in that country. Strategic marketing consultancy, Added Value South Africa, has boosted the capacity of its brand insights team with the appointment of Nicole Shapiro as an associate director. Sustainability is still not a top influence factor when it comes to seafood purchasing decisions and 44% of respondents do not ask any questions at all when buying seafood. From this week (June 12) to mid-July, over 3.2 billion people will be focused on the single most popular sporting event in the world. The FIFA World Cup kicks off on June 12th in Brazil, the country that is synonymous with football, or soccer as we and the Americans call it. By Lynne Gordon. The mobile revolution is changing the landscape in Africa – but perhaps not in the ways you’d expect. by Hazel Barkworth. On the surface, perfume is a category that has a lot in common with alcohol: the importance of brand and marketing, the role of packaging, the sensory element. But there was one key difference. Perfume brands are masters at creating powerful emotional connections with women, something that alcoholic spirits tend to lack. by Hazel Barkworth. When we look at the small cultural shifts that beckon change – the emerging behaviours that are just reaching the mainstream - it seems that consumers are going to expect more than ever. Here are the top six trends shaping consumer behaviour right now. By Alison Tucker & Thabang Leshilo. Historians, anthropologists, behaviourists, marketers – and many others – when differentiating between one generation and the next in the (mostly) western world classify them according to the major behavioural traits exhibited by the people born and raised during those eras. Collaborative Consumption – Opportunity Or Threat For Brands? As the world nears the 2015 deadline for meeting the eight Millennium Development Goals (MDG) agreed to by all the world’s countries and all the world’s leading development institutions, a United Nations panel chaired by UK prime minister, David Cameron, calls for an end to extreme poverty by 2030. This ambitious target goes far beyond that set by the MDG, with panellists expressing the view that wiping out extreme poverty (defined as people earning less than US$1.25 a day) ‘can be done’. Added Value South Africa’s Camilla Howson explores how brands can, in partnership with government and NGOs, help uplift the world’s poorest people. Launch A New Brand? Or Stretch An Existing One? Given the widely accepted statistic that around 80% of new product launches fail, in these very tough trading conditions, should you be looking to introduce a new brand to consumers or to stretch your brand? Alison Tucker, a director and senior consultant at brand development and marketing insight consultancy Added Value, takes a long, hard look at brand stretching. Is Chanel out-styling Louis Vuitton? There have been numerous positive changes in the marketing world over the years, some of them impacting the way that marketers and brand managers conduct business, others addressing their complex relationships with suppliers. Beauty is big business – there’s hair care, nail care and skin care; body lotions, body exfoliations and body butters; lipsticks, mascaras and eye shadows ... and let’s not forget the men: colognes, shaving creams and nose trimmers. A global study identifying the world’s most culturally relevant brands shows how well Dove’s decade-long campaign to build self-esteem and integrate its social conscious into its marketing has worked to elevate the brand. Despite the size and power of the giants of the liquor industry – Smirnoff, Absolut, Heineken, Budweiser, Johnnie Walker, Chivas Regal to name a few – a global study identifying the world’s most culturally relevant brands shows that they might be under more pressure than we think, and up against some serious challenges to remain culturally relevant in the years ahead. Cultural Traction™ 2013, compiled by brand development and marketing insight consultancy, Added Value, highlights that, between them, this collection of alcohol giants scored some of the lowest VIBE scores of the study. Technology: Is the Next Big Thing already here? A global study identifying the world’s most culturally relevant brands lists six technology brands in the top 10 after polling more than 62 000 respondents in 10 countries during the latter quarter of last year. Leading the Cultural Traction™ 2013 list, compiled by brand development and marketing insight consultancy, Added Value, is Google. Also featured in the Top 10 on a global basis are Apple (2nd), Samsung (3rd), IKEA (4th), Microsoft (5th), Sony (6th), BMW (7th), Audi (8th), Coca-Cola (9th) and eBay (10th). Brand development and marketing insight consultancy, Added Value, has named the world’s most culturally relevant brands after polling more than 62 000 respondents in 10 countries during the latter quarter of last year in its Cultural Traction™ 2013 report. Leading the list is Google. Also featured on Added Value’s Top 10 on a global basis are Apple (2nd), Samsung (3rd), IKEA (4th), Microsoft (5th), Sony (6th), BMW (7th), Audi (8th), Coca-Cola (9th) and eBay (10th). Everyone – from Adelaide to Hong Kong, Istanbul to Stockholm, Tallahassee to Zürich – is dancing gangnam style. A handful of brands have embraced the music track, or its dance moves, in a bid to capitalise on the instant recognition they spark in consumers of all ages, and from all cultures. Brand development and marketing insight consultancy, Added Value, annually produces a report intended to assist its clients take a more future focussed approach to their brand strategy and positioning by tracking the evolution of culture. 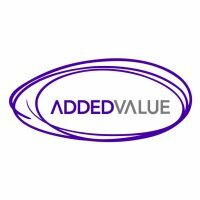 Added Value – a brand development and marketing insight consultancy.